As we continue to think about the ways to pray for our children, I want to encourage you to think beyond their needs. Without a doubt, we additionally need to be praying for our husbands. Spiritual needs – pray for a right relationship with God, obedience to God’s leading and direction, wisdom in decision making, strength to avoid temptation, etc. Hobbies – pray that he has a place to unwind and relax, something to enjoy that is leisurely and not work, pray that it is balanced. We need to also pray for our extended families and we can certainly be praying specifically just as we have for our husbands and children, these very same requests. We need to be uplifting our families frequently. My mom was a wonderful example of a prayer warrior growing up. She’s very organized in her prayer time, and has certain days that she spends praying for certain requests. She splits up days among family members so that each week she is faithfully and consistently praying for them. It’s a wonderful practice and keeps them on our minds and thoughts to connect with more frequently. My desire is that we will spend more time turned to the Father with the requests we bear in our hearts and the desires we have for our children, husbands and family. 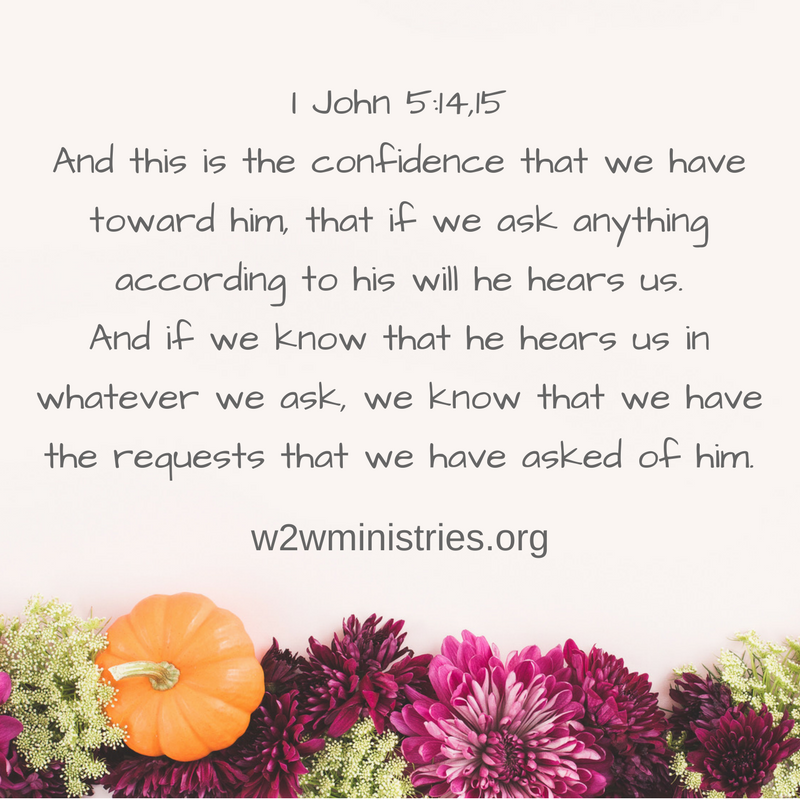 As we pray over them and for them we know that He hears us and will meet their needs. My mom has prayed many years for siblings to know the Lord and has been faithful even though the years have piled up and seems at times like there are no answers, God has been faithful and she has remained consistently fervently praying. James 5:16b - The effectual, fervent prayer of a righteous man availeth much.